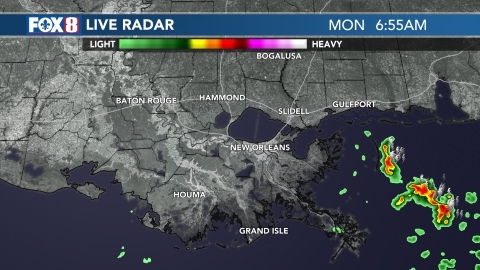 NEW ORLEANS (WVUE) -We started the day with patchy fog, light rain and mist. Otherwise a mostly cloudy and warmer day is on tap with highs reaching the upper 60s. Friday will be warm and cloudy as well with highs in the low 70s. A few more spotty showers are possible as we close out the week. Expect one more dry day on Wednesday with increased cloud cover and temperatures bouncing back into the low 80s.